Promotional Feature: Although most of us already know about the performance offered by SSDs, we don’t know about some other great advantages to using an SSD. So let’s take a look at them, shall we? SSDs have been in the market for a while now and they’ve garnered a great deal of acceptance from everyone who cares about storage. Seeing as everything is about performance when it comes to using almost any device these days, SSDs are like the epitome of performance in storage and aside from the fact that they are extremely quick, there are a number of other benefits to using an SSD. Saving power is the need of the hour and it’s something all of the current-gen computer components are trying to achieve. Not only do we regularly see a drop in power consumption on new releases of CPUs, we also see this trend to save power with almost all of the devices today. Since SSDs are flash based and have no moving parts inside them, they do extremely well to utilize much less energy than HDDs. This is like music to the ears of people who are always concerned about their overall power consumption. As SSDs consume a very low amount of power, using them means that you’ll have lower energy bills over the course of time. In case of say a laptop, cutting down on its energy consumption will help increase its battery life considerably and SSDs can help you achieve that easily. Heat is one of the biggest enemies of all components. Heat decreases the lifespan of components by quite a margin and it’s never good to let stuff run too hot. HDDs have been known to heat-up by quite a bit because they incorporate moving parts. SSDs on the other hand use absolutely no moving parts because of the presence of flash memory based storage. This is why SSDs don’t heat up much. Less heat generation would increase the life of components. Laptops also benefit by using SSDs because heat generation is the last thing a well built and compact laptop needs. When you speak of data, reliability matters a lot and you don’t want to lose your collection of say, your best memories captured in photographs. This is why durability and reliability of storage devices matter a lot. SSDs are very reliable because not only they don’t have moving parts but they use flash memory to store data. Even the best HDDs can fail because of slight jerks to the system while it is in operation but the same thing fortunately doesn’t apply to SSDs. SSDs are very well made and robust making them quite reliable to store data. While a regular Hard Disk Drive takes around 5,000 to 10,000 microseconds to access data, SSDs only take 35 to 100 microseconds. With such low access times, any program on the SSD loads much faster. Done in the blink-of-an-eye is actually a possibility when you use an SSD. Lower access times are directly related to the speed at which programs can load and hence SSDs are the best bet for using as a boot drive or a drive for installing and running games. Blazing fast transfer speeds are also a great sight for sore eyes who’ve never seen good file transfer speeds before in their life. Since SSDs are a standard 2.5-inch, they are very small compared to traditional HDDs. This is where you can easily say that “smaller is better” considering you can easily mount a SSD in your PC and virtually hide it from view if you like. Their dimensions allow a lot of flexibility while mounting SSDs anywhere and this is why we’ve seen professional case builders using SSDs in various ways possible, many time even to accentuate their builds. Another good advantage of using SSDs is that they can be easily installed in any regular laptop because laptops mostly use 2.5-inch drives. 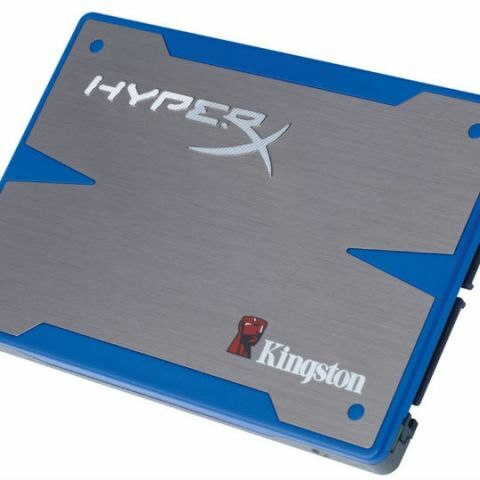 SSDs from Kingston are made to support both desktops and laptops as the entire lineup of Kingston SSDs are only 7mm thick making them perfect for use in laptops. Since SSDs use flash memory which use floating gate transistors to store data instead of using the magnetic way used by traditional hard disk drives, SSDs don’t get affected by magnetism through regular magnets. This shows that SSDs are very reliable as far as external factors are concerned. Ups seems to lasts for a few minutes only..